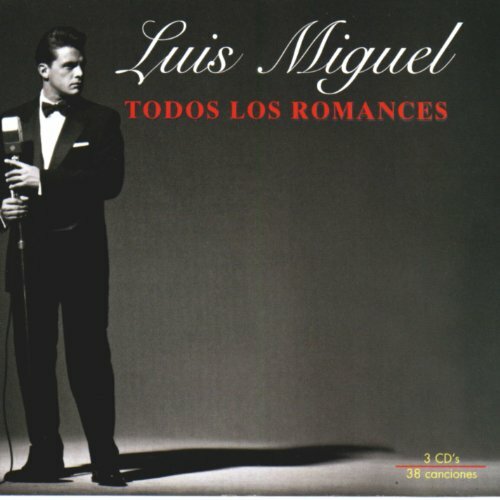 Luis Miguel, the world's most popular Latin singer, presents Todos Los Romances, a three CD-collection of the most popular albums ever to emerge - Romance, Segundo Romance and Romances. The outstanding success of these three releases were evidenced by their platinum success, Grammy awards and sold-out tours. The combination of timeless songs and Luis Miguel's unmistakable voice has made Todos Los Romances one of 2013 s most anticipated releases. If you have any questions about this product by Warner Music Latina, contact us by completing and submitting the form below. If you are looking for a specif part number, please include it with your message.